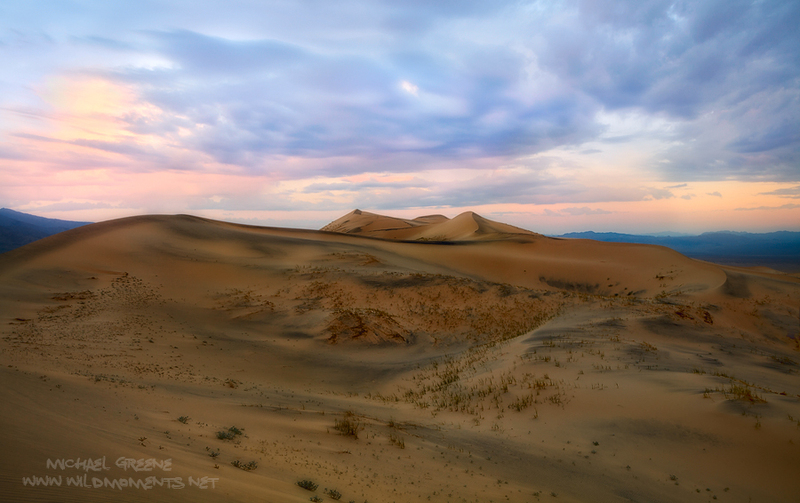 A stormy sunrise atop the Kelso Dunes in the Southeastern portion of the Mohave National Preserve in California. These sand dunes, the tallest in the state, are located near the Nevada and Arizona borders. Photo © copyright by Michael Greene.